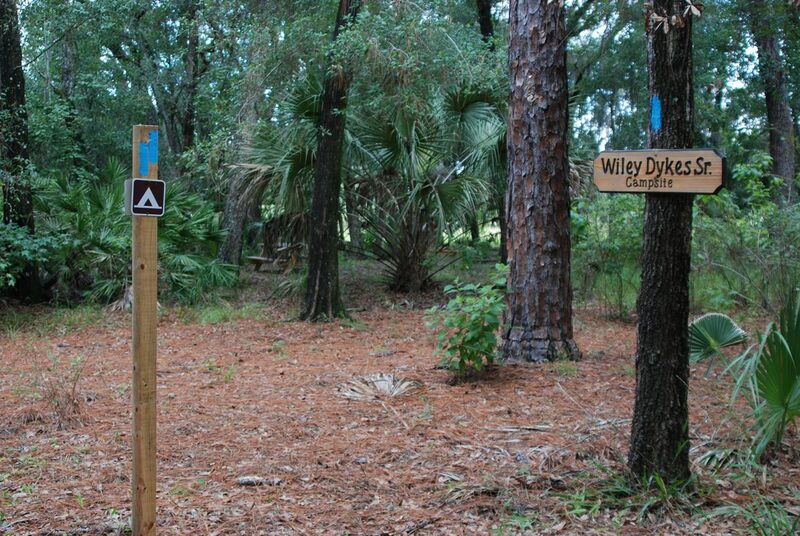 Thanks for the Trails | Florida Hikes! Hiking a new-to-me and relatively newly built section of the Florida Trail yesterday, I was delighted to see very visible thank yous to three long-time, hardworking volunteers of the Florida Trail Association. 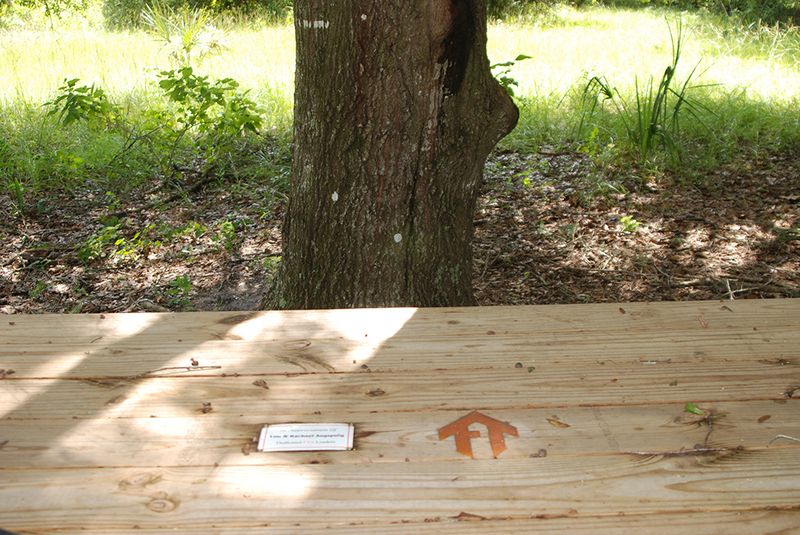 If you’re not a member of the Central Florida chapter, or involved with FTA, you may not know who these folks are when you come across these rest spots along the new Mills Creek section. Here’s a little backstory. Lou and Rachael Augspurg are most beloved for their Winter Wednesdays hiking series, which they lead Jan-Mar. Upwards of 60 people show up weekly for their guided hikes, which often showcase doing a long linear segment of the Florida Trail. Well beyond that, they’ve been extraordinary leaders in motivating and organizing volunteers to care for trails all throughout the Orlando metro area. And much more. Wiley Dykes, Sr. headed up trail maintenance in Central Florida when I first arrived in Orlando, leading weekly work hikes to keep the trails open and build new trails. He is the person responsible for getting most of the Florida Trail in the Orlando area off the roads and into the woods. While he’s no longer able to work on trails, he was at the campsite dedication and I was happy to hear he’d been honored. Next time you hike, don’t forget that someone built that trail for your enjoyment and someone keeps it open. Very rarely are those folks on a payroll. Give a little thanks – and support to the Florida Trail Association!